A Permeable Pavement System from Cambridge is an economically smart decision for the rapid removal of storm water on driveways, parking lots and roads. By allowing for natural drainage and ground water recharge, water runoff is reduced affording outstanding economical benefits over a 30-year lifecycle cost analysis. Land planning is augmented from the elimination of retention ponds. Properly installed, Ledgestone Permeable 3-Pc. Design Kit with ArmorTec® and Aqua-Bric Type 1, both systems can be categorized as structural BMP (Best Management Practices). 9 3/32" x 9 3/32"
4 17/32" x 4 17/32"
Aqua-Bric® Type 1 is available from The Crusader Collection and aged from The Renaissance Collection. 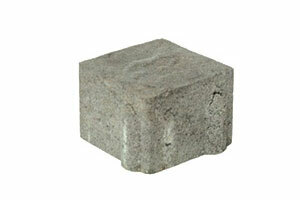 This Cambridge Pavingstones shape is specially designed for rapid removal of stormwater. Aqua-Bric Type 1 provides the appearance and advantages of concrete pavingstone with the added benefits of a permeable system. 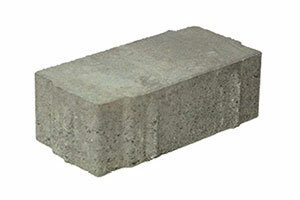 Its nominal dimension is 5" x 10" with a 3 1/8" thickness. 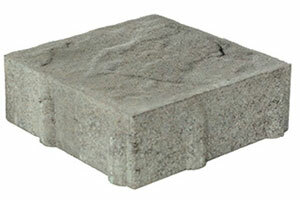 Slightly elongated openings along the sides work in harmony with the rectangular form. Minimal openings in the pavement surface make walking more comfortable while allowing for natural stormwater drainage and groundwater re-charge. From an engineering perspective, a permeable interlocking pavingstone system is a filtered infiltration trench with pavement over it. 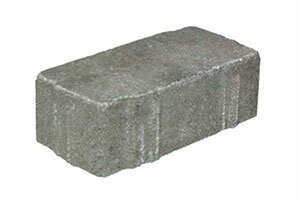 The perviousness and amount of infiltration are strictly dependent on the infiltration rates of the joint filling material and base materials, not the percentage of the open area on and around each paver. Water runoff is reduced by as much as 100%. The system delivers maximum strength to handle both pedestrian and heavy vehicular traffic while providing remarkable curb appeal, convenient access to underground utilities and outstanding economic results on a 30-year life cycle cost analysis. In addition, eliminating retention ponds enhances land planning. 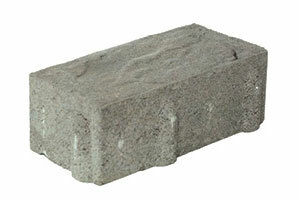 Aqua-Bric Type 1 is therefore, an economically smart choice for driveways, parking lots and roads. 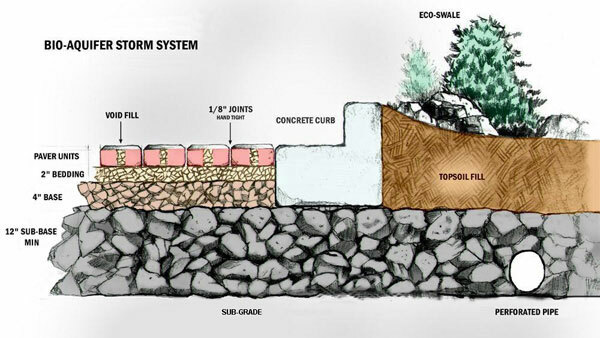 This stormwater management system is designed to trap first-flush pollutants and reduce impervious areas. Pavingstones are laid out in a variety of patterns with gravel between them. 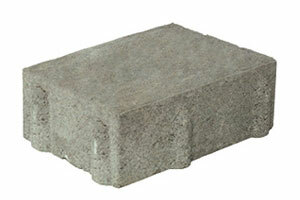 The system is built on an open graded series of stone bases, which offer infiltration and partial treatment of stormwater pollutants. This system has been approved by the Federal EPA as a post-structural BMP (Best Management Practices) for compliance with NPDES Phase II rule. Below the pavers typically sits a 12-inch to 24-inch sub-base of 2 1/2-inch to 3-inch fractured rock, a 4-inch deep base of 1/2-inch to 1-inch of clean gravel, and a bedding of 1/4-inch to 3/8-inch stone. Refer to the Bio-Aquifer Storm System diagram (shown). Cambridge Turfstone Pavingstones can also be used as permeable pavement solutions in many project applications. For more information, ask your Authorized Cambridge Distributor for a "Cambridge Permeable Pavement Product & Installation Guide". 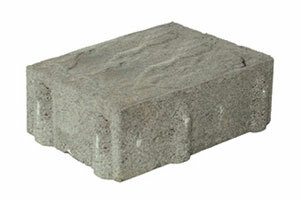 Aqua-Bric is a trademark of Advanced Pavement Technology Inc.
5" x 8 1/2" - 5" x 7 1/2" - 5" x 6 1/2" - 5" x 6" - 5" x 5"